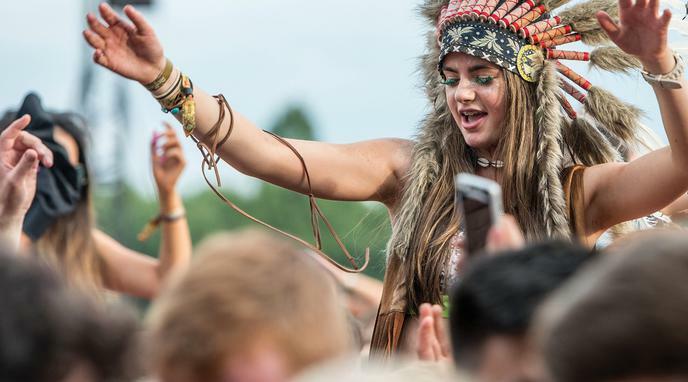 The headdress of some Native American tribes, worn ceremoniously, or as an adornment of honor for good deeds in war and within the tribe, is offensive when sold as party costumes or music festival adornments. If there is no tangible harm, an offended party is not in and of itself evidence of something being morally wrong. People frequently make costumes of sacred items from certain cultures (e.g. nun's habits). It's not legitimate cause for offense because it's clear from context that it's a costume and not authentic. Not all cases of "cultural appropriation" amount to mockery, and one cannot make the case against all "cultural appropriation" on the basis of only the most extreme examples.